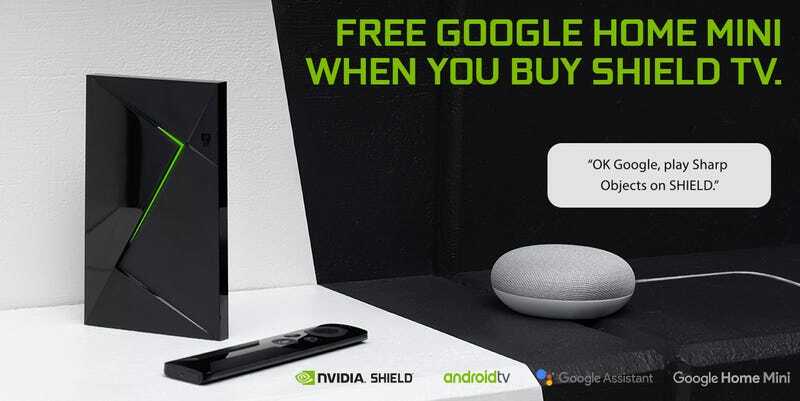 The NVIDIA Shield TV is a really good 4K HDR streaming box and a gaming console rolled into one, and if you buy one from Walmart today, you’ll get a Google Home Mini for free. Just note that for gaming, your options here are a selection of Android games, streaming games from your PC with a GeForce graphics card, or subscribing to GeForce Now for $8 per month, which gives you streaming access to an array of AAA titles. This version doesn’t come with a gaming controller in the box, but you can use any Bluetooth gamepad.